Home Technology Mobile Realme 3: Where Power Meets Style for the Youth of the Nation! Realme 3: Where Power Meets Style for the Youth of the Nation! Realme is powered by Oppo, this means that it shares the same consumer-centric philosophy. Besides that, the factory and brand offerings are also similar such as both brands share the same quality control methodologies, same after-sales services and the same network of service centers globally. Realme, an emerging smartphone brand, launched realme 3, the most powerful phone for the budget segment today. The stylish device, powered by the AI master MediaTeK Helio P60 processor and comes with a 4230 mAh battery, giving you the longest battery life in this segment. Realme 3 is equipped with an upgraded 13MP + 2MP dual rear camera with Nightscape and Chroma Boost mode, which are the first in this category. This smartphone will be available in two variants, 3GB RAM + 32GB ROM and 4GB RAM + 64GB ROM with 6.2-inch dewdrop full screen and triple SIM slots expandable up to 256GB. The device comes with 3 exquisite colors – Radiant Blue, Dynamic Black and Classic Black. The device comes with a dual rear camera, a combination of a 13MP primary camera and a 2MP secondary camera with the primary camera’s single pixel size being 1.12um. The large f/1.8 aperture and 5P lenses combination are a big leap forward in resolution, tolerance, and color presentation. Decked up with AI scenes recognition technology, it can recognize 16 independent scenes and 100 scene combinations to automatically select the best exposure strategy for better dynamic range and contrast ratio. Proper photographing modes are then matched and adjusted to present a better overall perception. The device also supports 90fps/720P slow-motion video-shooting to slow down the wonderful moments for more fun. Realme 3 has been powered by MediaTek Helio P60 processor. The powerful Helio P60 adopts TSMC’s latest 12nm FinFET process, which boasts a 15% drop of power consumption compared with the previous 14nm process and can rival the 10nm chip in this regard. P60 comes with multi-threaded APU (AI Processing Unit), which includes multi-core processors and smart control logic processors. When combined with NeuroPilot and the brand new smart multi-thread scheduler, it can be two times more efficient in power consumption than GPU. It can achieve 280 GMAC per second in terms of computing processing capacity, making the processor the most powerful artificial processing terminal among its same level. The device comes with super long battery life with a 4230mAh high capacity battery that lasts even longer through optimization by smarter software. It is much superior to competitor models in the same price range in this regard. The long battery life allows users to heavily use the phone while running heavy apps and games. The Screen Battery Optimization mode provides the balance mode and strong mode for the user to select from, extending the battery life by 5% and 10% respectively. 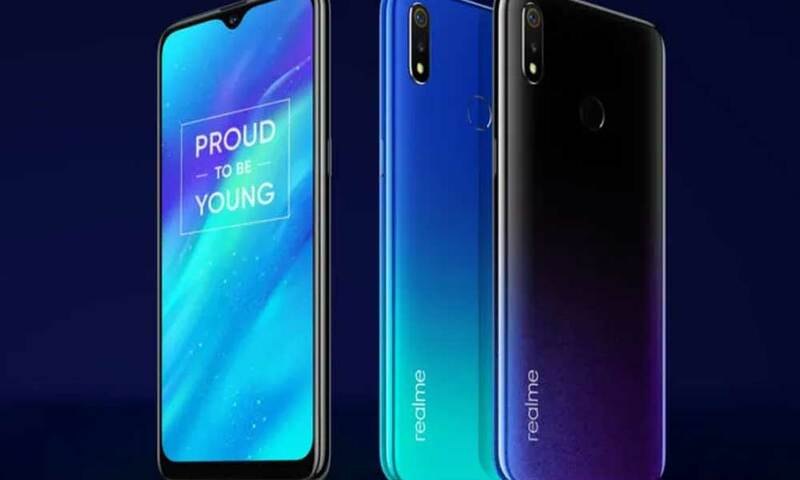 Realme has introduced three products in Pakistan so far. realme C1, realme 2 pro, and realme 3. realme 3 is the prettiest power king and all-rounder under 30k offering superior performance and design which is even at par with many higher-end models. The First-sale run from Saturday, 20 April 2019. People can order it in two colors Radiant Blue and Dynamic Black an amazing price of PKR 21999 /-. The 4+64 GB variant is available nationwide offline in stores in radiant blue and dynamic black at the price of PKR 28999/- . Previous articleNimra Khan’s Wedding is Happening Soon!